There is no question - Banff, Alberta is one of the most beautiful places in the world for weddings. There's something in that crisp mountain air that makes you feel incredibly alive and present - you take in the scenery, the history, the people around you, and the real beauty of the Rocky Mountains. If you ever had any doubt about Banff's beauty, today's light and romantic Real Wedding will convince you without a doubt. Even with rain sprinkling down, Tanis & Djordie's luxurious wedding was stunning. This lovely couple were high school sweethearts and together seven years before Djordie popped the question. After their engagement, they both knew immediately where they wanted to be married - the Fairmont Banff Springs Hotel, a venue they had both dreamed about since before they met. They also dreamed of a wedding day that would create memories for their friends and family that they could treasure for years to come. 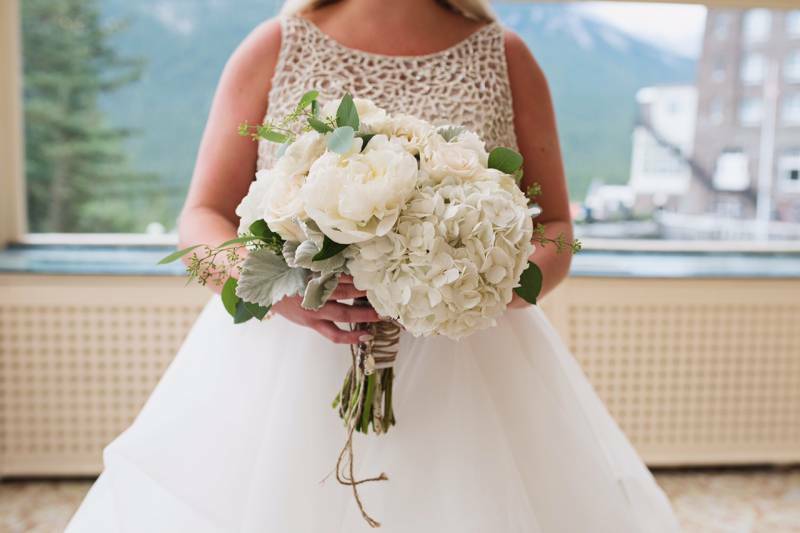 Photographed by Banff wedding photographer Fuller Edge Photographer and planned and designed by Banff wedding planner Lynn Fletcher Weddings, this real Banff wedding is an absolute stunner. Tanis and Djordie choose light and airy colours for their wedding palette, sweet blushes and light greys for a neutral, romantic colour palette. Their wedding was brought to life by incredible floral arrangements from Banff wedding florist Occasional Bloom, pairing both garland style centrepieces and towering arrangements to make their reception stand out. 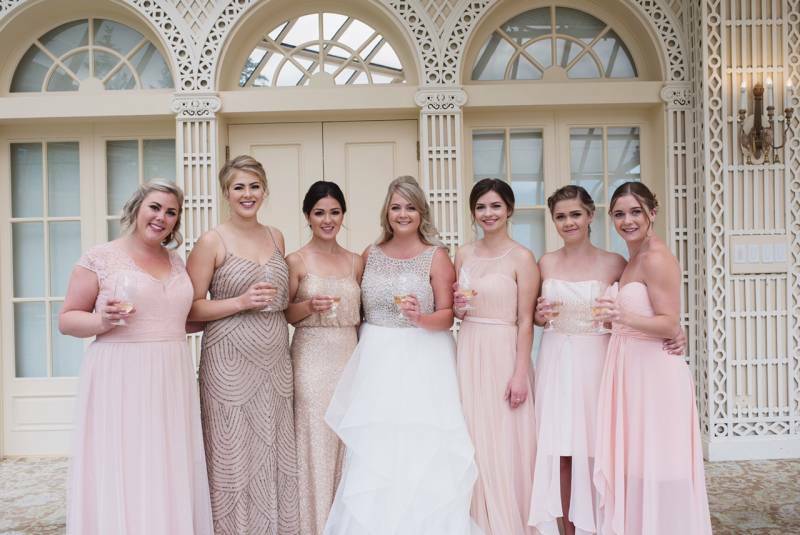 Tanis wore a signature wedding by Hayley Paige from Calgary wedding dress shop The Bridal Boutique, and her bridesmaids looked dreamy in mismatched blush gowns of all styles and silhouettes. Meet the entire Creative Team after the jump!